2012: Year of the Dragon! And Year to Get Published! It has been a busy year for me - after nine years of writing, revising, revising again, and revising a few more times, my first novel CHOPSTYX was finally (self) published! Yeah! Wild applause! 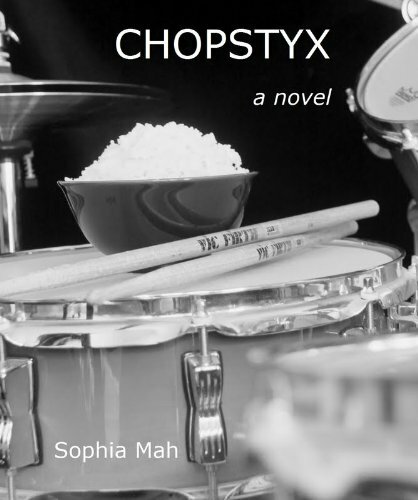 CHOPSTYX is my first published novel. That means, yes, there are unpublished ones cluttering up my hard disk, and they will probably stay there till I decide their fates. I am so glad you visited my site - it can get pretty quiet out here in cyberspace. Drop me a line - ask questions, leave comments about CHOPSTYX, the state of novel writing or life in general. I'll try to get back to you as quickly as a mom with two lively kids and an exercise-hungry dog can. These short stories are free for the reading - I hope you enjoy.